Early advance general admission tickets are only $17.00 until January 10th 2019. $20.00 through February 7th 2019. $22.00 through March 21st 2019. $25.00 at the gate, the day of. The earlier you purchase the more you save, as well as get the best seating! If you wish to sit in a group with others please be sure to buy the entire groups tickets at one time so we can be sure to have you together. If there are any special comments please be sure to make them when ordering your tickets. Like all our concerts, in order to seat everyone best, we reserved the assigning of seats based on the best available in the order in which they were purchased. Preferred seating inside the great room at surfboard tables, but NOT in front of the stage; $25.00. Limited VIP tickets will also be available and include up front reserved seats (best available at purchase time), table snacks, and a drink ticket. This ticket does NOT include Meet & Greet prior to the show. VIP tickets are very limited and usually sell out quickly. A single show VIP ticket is $35.00 and are on a first come first serve basis. Woodstock, a word that still conjures up thoughts of love, peace, and of course music. It was 34 bands over 3 days at a small farm outside of Woodstock New York in August of 1969 and the music world was never the same again. PEACE OF WOODSTOCK is a musical tribute to that festival of Peace, Music and Love, that defined an entire generation. Join us Friday, March 22, 2019, for a show that will celebrate the 50th Anniversary by taking you on a musical journey from the acoustic opening act of Richie Havens, through the closing moments of the explosive, electric sounds of Jimi Hendrix. Also featured are songs from Crosby, Stills, and Nash, The Who, Janis Joplin, Sly and the Family Stone, Joe Cocker, Arlo Guthrie, Country Joe McDonald, Santana, the Jefferson Airplane, and others. 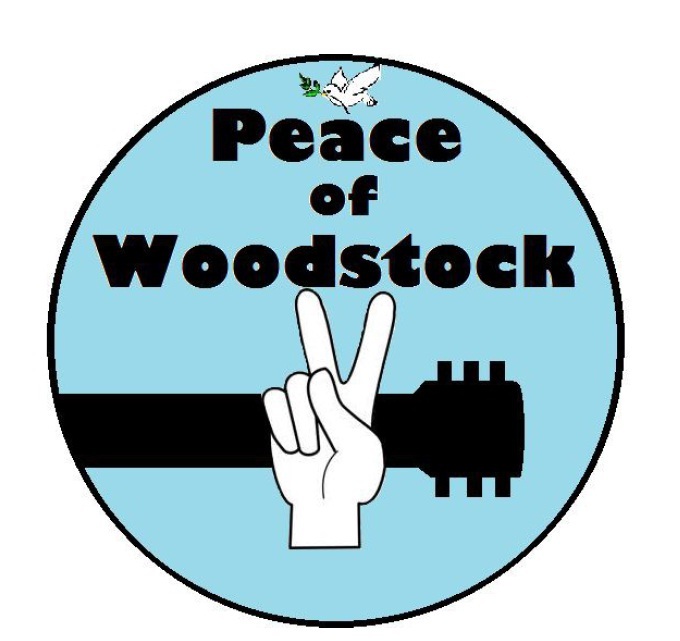 This six piece Peace of Woodstock experience will excite and bring back the greatest memories of this life changing event. See more about Peace of Woodstock at www.peaceofwoodstock.com . Gates open at 5:30pm with food available until 7:00pm featuring Red's Kitchen & Mi Cabaña Taco Truck. Food is not included in the ticket price. Opening music by the OLD HIPPIES!